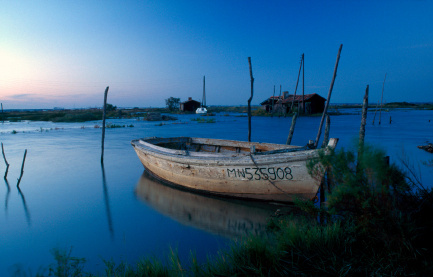 Oyster farmer boat at sunset in Charentes maritimes. 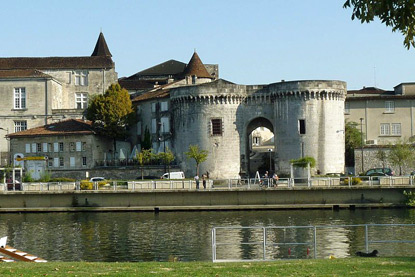 The tranquil rural region of Poitou-Charentes marks the gradual transition between northern and southern France. Its traditional dialects, Poitevin and Saintongeais belong to the northern Oïl language family, but its warm climate, sunflower fields, and relaxed atmosphere (the siesta is not uncommon here). The region is renowned for its Cognac brandy, Pineau des Charentes, Charentais melon, and Marennes-Oléron oysters, and white sand beaches. The northern half of the region is the Poitou, making up a big chunk of the historical province of Poitou (minus the Vendée). The south is composed of the three small traditional provinces of Saintonge, Angoumois and Aunis, in the valley of the slow-flowing Charente. Famous people from Poitou-Charentes include (chronologically): King Francis I of France, Louis XIV's second wife Madame de Maintenon, the poet and playwright Alfred de Vigny, the political economist Jean Monnet (one of the EU's founding fathers), and President François Mitterrand. 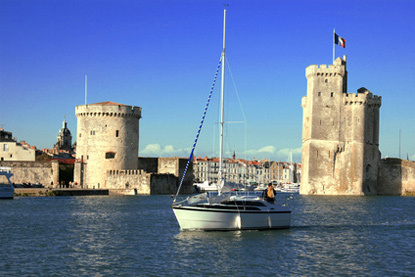 La Rochelle was historically France's main port of trade with and emigration towards the New World. Its economy remains resolutely maritime. 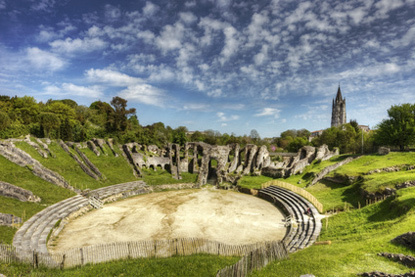 Roman city, then capital of the historical province of Saintonge, Saintes offers visitors Roman ruins and medieval churches. 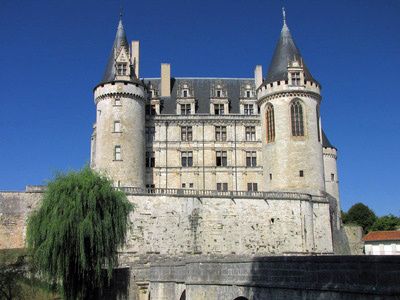 Blending medieval and Renaissance styles, the ducal castle of La Rochefoucauld is one of France's most sumptuous. Cognac is home to the world-famous eponymous variety of brandy.